Visually spectacular from every angle, this ring is modern and edgy, while being soft and elegant at the same time. 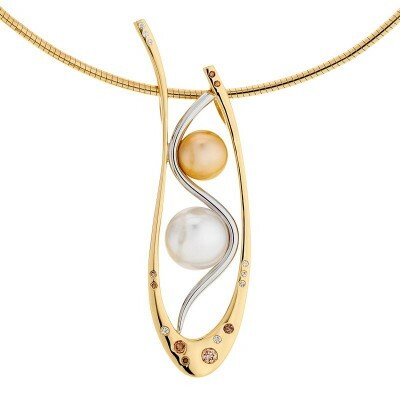 The natural gold pearl floats effortlessly in this design and is protected from everyday wear and tear by the modern wave of gold in the band. 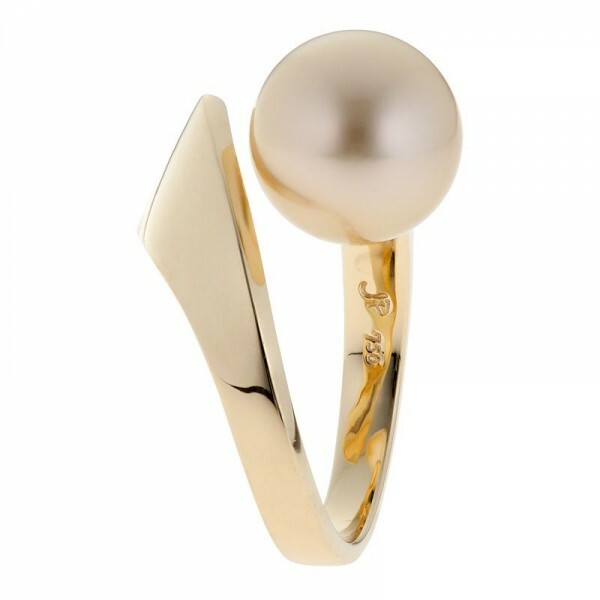 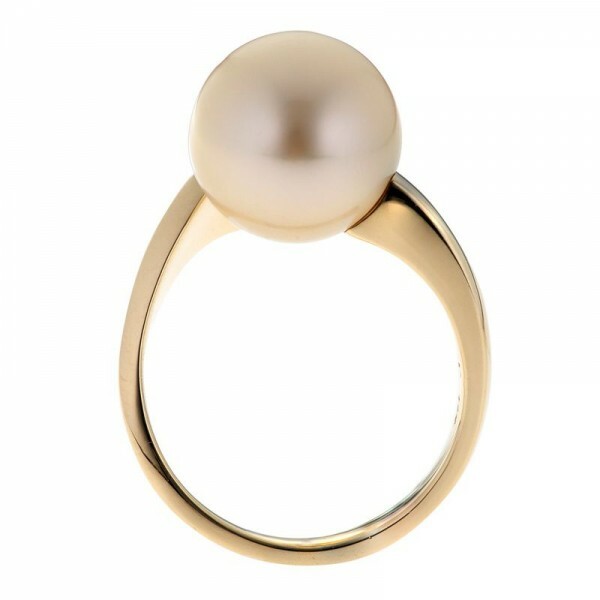 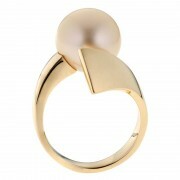 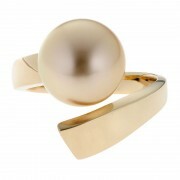 Stand out from the crowd in this gold South Sea pearl ring design that’s as contemporary as it is timeless.